Will technology save or destroy schools? Will technology<font size="32"> save</font> or <font size="32">destroy</font> schools? The way children interact with the external world is quickly changing. How will this affect the learning process? 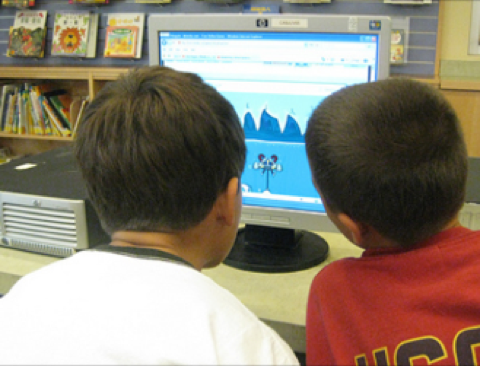 Should school adapt to technological changes or maintain its traditional role in society? The answer of the cognitive scientist Domenico Parisi. Schools and in general educational organizations are among the most conservative institutions in society. Society changes very quickly but schools and the way of learning at school have been the same for centuries. For this reason many people are convinced that schools, as we have known them so far, have come to an end. The most important social change in schools is the appearance of the digital technologies of information and communication: visualizations, animations, interactive interfaces, simulations, computer games, the Internet, shared virtual reality. These technologies, and in particular simulations, allow us to learn not by reading or listening to words, but by seeing and doing, for example by altering the parameters of a simulation and by observing the results of these variations. Students going to school nowadays have spent the their pre-school years interacting with technology, and this has changed their way of communicating, of gathering information, even of thinking. How can these students not feel distant from a school system that knows nothing about this? Educational organizations are closed to new technologies because they would determine a complete transformation of the entire educational system. But the use of the new technologies at school would make it possible to reduce the distance, today so large, between children who are "born digital users" and school, to push the development of these technologies in directions which are more positive from the cognitive and the social points of view, and to have a school which really works for both boys and girls. Soonly technology can save our schools. Domenico Parisi was the director of ISTC from 1987 to 1995. His main research interests are the development of simulation models of individual and social behaviours through neural networks, genetical algorithms and models of artificial life, and their applications in the fields of education, entertainment and divulgation.